Introducing the Control4 IO Extender V2 with a sleek, new industrial design to complement the EA Series of entertainment and automation controllers, along with the reliability and functionality that you have come to depend on with Control4 IO extenders. Gain expanded control of large automation systems with home theaters, video devices, garage doors, motion sensors, and a wide variety of other devices that use infrared (IR), serial, contact, and relay connections. The IO Extender V2 features the ability to be powered by PoE+, allowing for greater installation flexibility. The driver remains the same as with the original IO extender, maintaining ease of deployment. Our starting point for this beautiful, modern and spacious private Penthouse in Downtown Vancouver was to design a robust network as the basis for a reliable private home automation system. A Control4 Home Automation system is seamlessly integrated with all the lighting, music, video, motorized shades, climate control and security, enabling control through a single intuitive interface. Access is provided through a combination of iPads, iPhones and Control4 wireless hand remote controls. While the Smart Host is boasting more IR, I find that the more IR ports needs are becoming less needed. Control4’s Simple Device Discovery Protocol for IP connected devices has made the world of IP control of Smart TVs, Blu-Rays and media players such as AppleTV super easy to set-up, without the need for cumbersome IR Buds. Even when I do need IR, but don’t want the IR bud, the Control4 Blaster is there to help. For my customers, the On-Screen Display is used often for searching their movie database… often treated as a “coolio” factor with friends. While Savant’s message about controlling up to 12 rooms is interesting, the HC250 can do the same thing for less money. Depending on the customers, needs, we leveraged keypads, remote controls and the Z2IR device to control multiple zones with a single HC-250. The HC-250, plus Control4’s new SR-260, creates an awesome solution for entertainment centers and home theaters, at an MSRP that is less than the Smart Host itself. I’m struggling to see the real benefit of Savant’s system. I know they have a great app for use on tablets and smartphone, but I have yet to have a customer that runs their theater without a remote. Savant’s remote is twice as much as the SR-260. I remember coming across an article last year that really highlighted the HC-250’s capabilities, a white paper by Dennis Burger. I think this article really speaks the unmatched capabilities of the HC-250, especially at a price point that speaks to customers. Further expanding on this issue of pricing, from my personal experience, I’ve found that programming the Control4 system is way easier than any Savant system and the customer gets a solid, elegant experience with a ton of expandability. Not every home on the block is a Smart Home... Yet! A survey done by the ERA Real Estate (ERARE) and HGTV is revealing the phenomenal potential of smart home technology--especially in terms of resale value. Real estate has and will likely always be one of the best investment options for anyone that want to protect their wealth. With that in mind, the values of the properties themselves don’t grow without the proper add-ons as time passes by, and the recent survey done by ERARE and HGTV is proving just that. What are new the new generations of home buyers looking for? What type of additions and new technology should a property possess to make it more appealing to home buyers? How has the Internet of Things changed people’s perspective on property management? As the report shows, buyers are looking to purchase homes with smart technology pre-installed. This can only mean one thing: Sellers must meet the demand. The technology doesn’t have to be anything extravagant. Rather, buyers are looking for some of the practical necessities that will help drive efficiency and comfort. Things such as automated climate control, energy management and remote monitoring should all be on the top of every homeowner’s priority list if they’re looking to put their homes on the market. According to the survey, 7 in 10 millennials want homes that are equipped with technologies that will allow them to use their smartphones to remotely control various functions and features within the home. Well, one would think that it’s only common sense to cater to millennials if they’re the ones that are in the market to buy homes, but the reality is everyone has a bit of techno-geek in them. 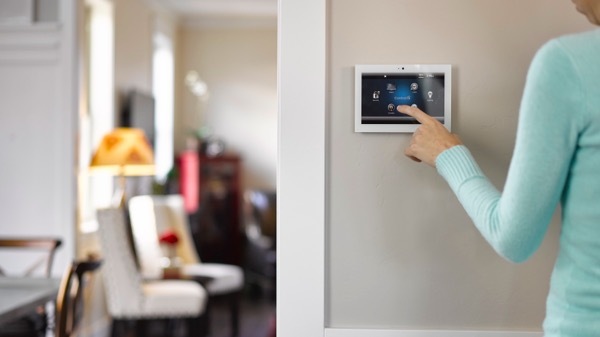 Baby boomers, for instance, are looking to beef up their levels of security, which means sellers must add some sort of smart security system to the homes to make them appealing. Smart home technology may have been considered just a trend in the past, but now--more so than ever--the trend has evolved into a demand that makes it a necessity for anyone who is buying or selling a home. One of the qualities that made Apple so successful is that it has total control of the ecosystem that its vast line of product encompasses. Along that same line, it’s a no brainer that many companies are following that exact same model. The impact of such business model is even more apparent for emerging niche markets such as the Smart Home segment. Among the leaders in the emerging industry is a company by the name of Control4, which has just recently released some fresh products and updates that are sure to make everyone on the block envious. First up on the list of Control4 products is a new line of HD Video Intercom products that promises blazing quick usability as well as universal compatibility with other platforms such as iOS and Android. All new Control4 Video Intercom products feature quad-core processors to drive mouth watering HD videos—be it for monitoring a baby room or checking for who’s at the front door. The displays themselves come as either 7 or 10-inch wall-mountable, and 7-inch tabletop for coffee tables, bed-stand and portable use. Control4 promises out-of-the-box (OTB) functionality, and all users have to do is add two video-enabled endpoints to get things rolling. 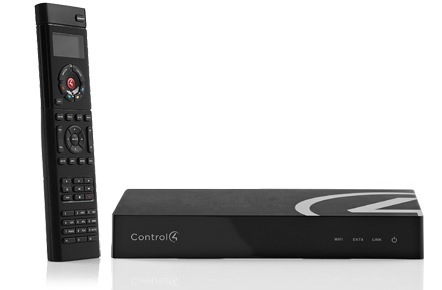 In conjunction with the release of the new hardware, Control4 has also revamped its Control4 OS to match. Control4 OS 2.7 has a completely redesigned user interface (UI) to deliver the most amazing climate control experience. Control4 has tweaked the UI as to enable users to be able to access all the climate control features with a simple flick of a finger. The new Comfort Control interface also has improved compatibility with the top HVAC systems. 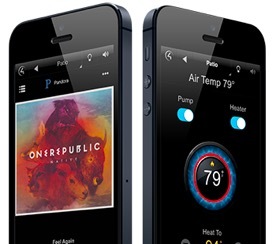 Control4 isn’t letting its competitors get ahead in the world of smart thermostats either. The company also announced the launch a Control4 smart thermostat that it jointly developed with climate control specialist Aprilaire. For more information visit Control4 or contact us here. Control4 West Vancouver - Home Automation by Digital Smart Homes from Digital Smart Homes on Vimeo. 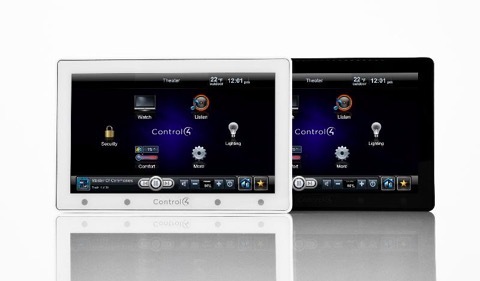 Complete Home Control, Control4 Home Automation system by Digital Smart Homes in West Vancouver. This completely renovated home was originally built in 1973. It has transformed beautifully into a modern contemporary home. All the technology (including Amplifiers, Cable Boxes, Controllers and more) are completely hidden away from site and placed into centrally located media rack. Lighting, Media, Audio, Video, Security, HVAC and more are intuitively controlled by keypads and 3 built in touch screens throughout the house. The home owners iPad and iPhones also allow for complete control over the entire home and provides for remote access from anywhere in the world. All this keeps the walls clutter free and gives the home a very clean and user friendly feel. A Control4 smart-home, in truth, doesn’t have to look like the Death Star from the sci-fi series Star Wars. In fact, any well-wired home is capable of becoming a smart-home. This means that anything from a suburban home to your downtown loft is ready to be transformed with technologies that are readily available at Digital Smart Homes. Right as you walk into most typical retailers, you will find flat screen televisions flashing left and right. It was only a few years ago that this same technology came in bulky packages—that is the bezel was extremely wide, and the rear encasement took up quite a bit of space. However, TV manufacturers have greatly improved the designs of these sets, and these days most flat screen LCD/LED TVs have almost no bezel and takes up much less space, which is a welcoming thing when it comes to designing an aesthetically pleasing home. The last thing you want is a bunch of technology is a bulky cabinet underneath that very thin TV. Smart home technology doesn’t all need to have a flashing screen or blinking lights. Often, smart-home shoppers will overlook things like window/blinds automation. Motorized shades and window coverings can add tremendous value to a home. This technology has been around for quite some time, so finding the right design is never the problem. Additionally, the smartphone and tablets you’re using everyday are very capable machines, and they can be used as a hub for controlling various lightings and appliances. Some simple upgrades of the switches around the home can give you an incredible amount of automations. As you gradually chip away at some of the outdated and unappealing aspects of your home, you will find that your home looks nothing like that Death Star but it does provide you with the beauty and comfort that you desire. Visit our Vancouver showroom for a demo on how a Control4 smart home (home automation system) can simplify technology throughout the home and hide electronics from view. So you’re thinking about home automation but don’t know where to begin. First off, let’s go over what home automation is and how it can benefit you. Home automation is merely the process of interlinking different electronic components of your home to an single intuitive operating system so that you can monitor and carry out various tasks at home or while being someplace else. Before TV remotes were available, people had to actually get up to change the channel (and bang on the box while they’re at it). Nowadays, if you do get off the couch, it’s because you want to grab something from the fridge. Simply put, home automation is like having a TV remote that can access just about any type of component or components of your home from one interface. Modern-day home automation technology leverages the Internet, and if you’re reading this blog it means you have access to some form of Internet. Put two and two together you’ll see that the home network is one of the key components of home automation today. Home automation technologies come in a broad range of packages, so if you’re thinking about setting up your home with some of these technologies it will take some planning. Do I travel often or spend a lot of time away from my home? Which areas of the home do I want to focus on automating? Above are just a few questions you need to ask yourself during the planning process. For instance, do you want to set up a yard sprinkler system that you can remotely control from your smartphone? If that’s the case, you might need to hire a contractor to install a sprinkler system, and then a home automation firm like ours (Digital Smart Homes) to program and connect your sprinkler control system to your phone. The task of implementing home automation might seem daunting at first, but with the right amount of research and planning anything is possible. Best of all, silicon-based technology and network infrastructures have grown as such an astonishing pace that the price of home automation is much more affordable now than it was in the past. Take a few moments to explore the possibilities by watching this short 2 minute video or by visiting our fully automated smart home showroom in Vancouver. Control4 rolls out OS 2.6, featuring new UI enhancements that elevate the Listen, Comfort and Security experiences, stunning consistency across all user interfaces, and time-saving tools for our technicians to deliver programming efficiency. 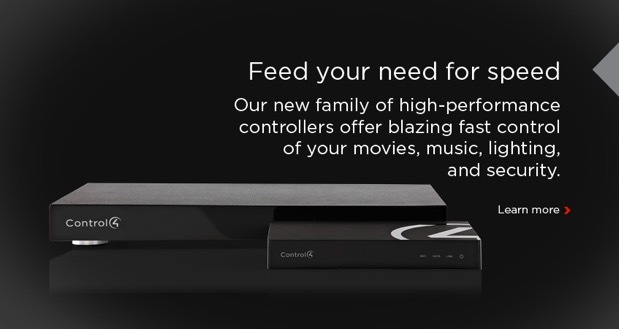 Control4® OS 2.6 will be pre-loaded on all new controllers moving forward. This is one of my favourite homes and most of all, one of my favourite clients that Digital Smart Homes has had the pleasure to work with. 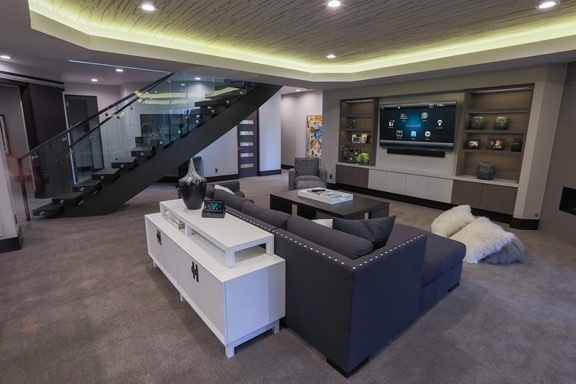 This modern contemporary Vancouver home features a Control4 Home Control and Automation system that is integrated with Lutron's RadioRa2 smart lighting system. All equipment, including all Video sources, Wirepath CCTV, Media and more are all located together into two racks freeing up space at all the TV locations so that only a flat screen is visible and no other electronics. Control4 allows for easy access to any video source, audio device from anywhere in the home from an iPad, touch screens, keypads, computers, and smart phones. Better performance. Elegant enhancements to the interface. New features that let you personalize your system and simplify your life. And more! Control4 OS 2.3 lets you control your home, your way. Here are some photos of a home we recently completed in Point Grey, West 11th Vancouver. The home design is classic and elegant and features home automation and control by Control4 to integrate lighting, heating, security, Audio and Video. 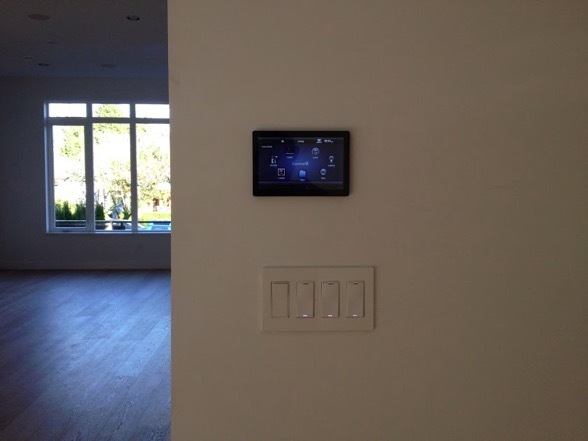 The home can be controlled from an iPad, hand held remote control or a beautiful on wall intuitive touch screen. This high quality, energy efficient & environmentally friendly home features its own geothermal heating system and boasts an Energuide rating of 86! Together Control4 and Sony launch the world’s first AV receivers with built-in home automation. Indianapolis, IN – CEDIA Expo Booth 4949 – September 5, 2012 at 5:00PM ET – Control4, a leading innovator in residential and light commercial automation systems, announced that Sony has integrated Control4® automation technology into its new ES receivers (introduced at CEDIA Expo) – delivering best-in-class AV performance and home automation within one easy-to-install and easy-to-use product. The ES receivers with Control4 automation are available for order now through authorized Control4 and Sony ES dealers. This is a powerful partnership redefining the AVR category by delivering an unprecedented integrated AV and automation experience in a single device. Consumers will enjoy top AVR performance, unmatched 4K content and a stunning selection of streaming media services, plus the added lifestyle benefits of personalized automation that can transform a house into a smart home. With companies like Sony embracing and marketing the benefits of home automation, the custom installation industry benefits as a whole. Together, Sony and Control4 have created an exciting new avenue to drive consumer awareness for the category. At Digital Smart Homes, we are constantly working to better understand our client base. One of the most exciting trends that we are seeing is women increasingly seeking out digital technologies, often much more than men. There are a number of reasons as to why this is occurring. To begin with, digital home technologies have the power to secure home and family. For instance, systems and outdoor lighting sensors can assure that lights go on at the proper time and that pathways are always lit. This not only protects homes from predators, but they greatly decrease the chance of personal injury. Additionally, iPhone, Smartphone, and iPad apps can align with the latest technologies to indicate whether door locks are unlocked and/or the garage door is open. No matter where in the world a one is, she can close the garage door and/or lock doors. By having the power to assure the security of the home, it is possible to have peace of mind when traveling out of town or returning home. Secondly, digital technologies can ease the frustrations of controlling numerous home media devices. There are few challenges that frustrate busy individuals more than hard to control/confusing media devices. Digital media technology offers universal remote controls that can control everything from the TV, to the wireless music system, and everything else in between. It is also possible to program a TV to turn off after a predetermined amount of time to assure kids are staying focused on their studies. Thirdly, appliance control and monitoring makes home life much easier. In fact, kitchens will never be the same, as digital make oven monitoring possible at all times. This lessons the likelihood of the oven being left on for hours or the overcooking of a favorite dish. Also, all appliances can be constantly monitored to assure they are running efficiently and not wasting precious electricity. Finally, home heating and air conditioning control both helps make the home more comfortable and less energy intensive. For example, the heater/furnace can be activated from the comfort of one’s bed via an iPad app and the air conditioner can be programed and coordinated with electronic blinds for effective temperature control throughout the day. While the above technologies make a defined difference in the lives of both men and women, it appears that our female customer is increasingly becoming the key influencer. When questioned about the problems digital home technologies solve, our customers often point to security, efficiency, and simplicity. Why do you personally seek out digital home technologies? Please share on our Facebook page! At Digital Smart Homes, we are committed to discovering revolutionary products that have the power to transform your home and improve the quality of your daily life. Not only are we committed, we actually love what we do! Who wouldn’t be excited to let the cat out of the bag when a new gizmo comes to market that allows a homeowner to close his/her garage door while vacationing in Paris or instantaneously unlock a door to let the cat sitter in when away on a business trip? Or better yet, have the means to monitor all home appliances from their iPad and discover exactly how to dramatically cut down the electricity bill. Not only do we sell groundbreaking products, we truly provide a lifestyle for the bold and courageous. Such a lifestyle is simplified in nature, yet amazingly thrilling! Where simplicity is concerned, we work to reveal how the latest technologies can help you cut down on energy costs, maximize appliance functionality and effectiveness, eliminate unneeded remote controls, and empower you when you are on the road. Thrill comes into the picture when you start considering how digital products can create the perfect home theater environment or that wireless music can magnificently pump crystal clear sound through hidden speakers. Additionally, it’s safe to say that it is thrilling to have the power to pull out your iPhone (no matter where you are on the planet) and push a couple buttons to turn your air conditioning on or off, activate the front porch lights, or cut the power on a computer that needs a break. This lifestyle we sell is truly seamless and makes perfect sense in today’s ultra-hectic world. Plus, it looks amazing! Who couldn’t use a little wire de-cluttering and electronics hiding, while revolutionizing the home? Our customers often grin when their friends and family stand with their mouths open the moment they realize they are standing in a Digital Smart Home. You don’t have to be an “early adopter” to understand the value of digitizing your home environment. While some of our clients definitely fall into that category, the majority are simply seeking a way to simplify their lives, secure those they love most, and cut down on energy usage (well…and then there are some who always dreamt of living like the Jetson’s…that’s ok too! ).If you are currently considering “Digital Smart Homing” your living environment, you are in for a thrilling ride. Dare to dream big and you are sure to find a creative solution that will fit our lifestyle! It’s a long-held stereotype that beauty and brains don’t go together. Well, not anymore. Introducing the Card Access™ Sub-Zero® / Wolf® Smart Appliance Module™. This new product from Card Access gives the beautiful Sub-Zero BI-Series of refrigerators the needed brains for integration with the award-winning Control4® home control system. High-performance In-Wall and Portable Touch Screens with full-motion video intercom and wideband audio deliver dedicated control and crystal clear communications. Las Vegas, NV– January 10, 2012 at 7:00 AM PT – Control4, a leading innovator in residential and light commercial automation systems, introduces its new video intercom solutions, which include the Control4® 7” Portable Touch Screen with Camera, the Control4® 7” In-Wall Touch Screen with Camera, and the Control4® Door Station. 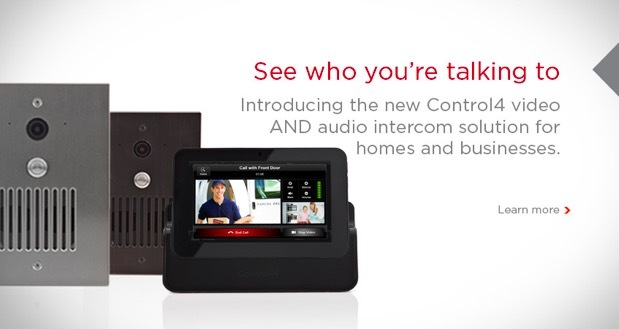 This new video intercom product family provides dedicated, always-on control functionality along with a convenient high-quality communications experience for homes and businesses. Each new product within the family features an integrated camera delivering H.264 full-motion video along with integrated speakers and dual microphones utilizing beam forming and wideband audio to deliver a high-fidelity experience. With activation of a Control4® Intercom License, consumers can enable whole-home or business communications and message broadcasting, as well as the ability to control auto-answer and “do not disturb” settings. New one-room and whole-home controllers dramatically enhance consumer experiences with fluid on-screen control, blazingly fast media access, and instantaneous responsiveness. 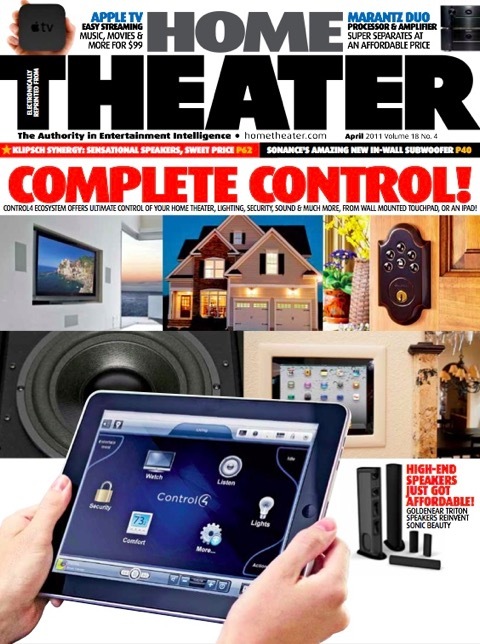 Las Vegas, NV– January 9, 2012 at 9:30 AM PT – Control4, a leading innovator in residential and light commercial automation systems, announces two new models to its award-winning family of automation controllers: the flagship HC-800 and the versatile HC-250. Designed to harness the power of Control4’s award-winning operating system, the HC-800 and the HC-250 provide the ultimate Control4 experience for speed, performance and flexibility at an exceptional value for homeowners and businesses. At the center of Control4’s updated line of controllers is the new HC-800, a powerful, flexible, multi-zone controller designed to serve as the cornerstone of any Control4 installation, no matter how large or demanding. The HC-800’s lightning-fast, next-generation 1.8GHz high-performance dual-core processor delivers instantaneous, interactive on-screen control and browsing of even the largest media libraries. It’s the app you’ve been waiting for! 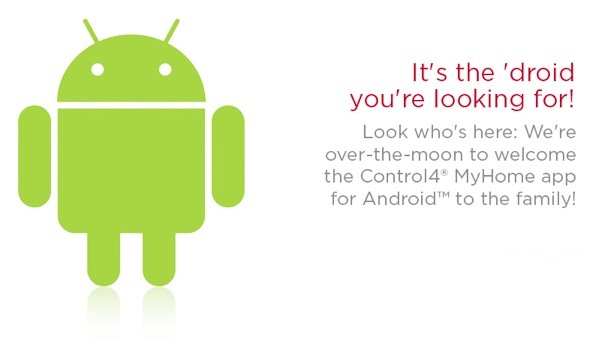 The Control4® MyHome Android app is now available for download! The Control4® MyHome Android app allows customers to interact with their Control4 systems from the convenience of their Android smartphone or tablet. As with other MyHome apps, customers get the familiar Control4 user interface to control lighting, temperature, music, movies, security and more. Long gone are the days when we read by candlelight and cooked dinner on a wood-burning stove. And for many North American homes as of 2011, the acts of flipping light switches and manually controlling thermostats are going the way of the dinosaurs. The Green Revolution, coupled with incredible technological advances, has spawned tech-savvy "smart homes": digitally outfitted dwellings that may be programmed to do just about anything you can think of, except maybe clean your room. Harry Saini, who owns Digital Smart Homes of Canada and has wired his Vancouver condominium to the hilt, believes that automating your home not only simplifies your life but also reduces energy consumption. Home automation technology is becoming more accessible every day, allowing the average person to transform a home into something straight out of "Star Trek." "If you were looking at home automation five years ago, you'd easily be looking at 10 times the cost compared to now," Saini said. "And the number of dealers and retailers that are able to support that technology compared to five, six years ago has doubled---tripled, even. "People used to think home automation is for lazy people, but that's not what it is. Essentially, everything talks to one another. Your lights talk to your stereo. Your alarm knows what your garage is doing. All your devices know what's going on." What is Home Automation or a Smart Home? In today’s ultra-complicated and fast-paced world, home automation and smart home technologies were developed to simplify life! Thanks to revolutionary devices, you can now link and control all of the electronics and systems in your home from a single digital interface. With a system such as Control4, your life will be forever changed and simplified as you hide away multiple remotes and take advantage of an easy-to-use interface that can be accessed via a single remote, your computer, iPad, iPhone, or other Smartphones. Transforming your living environment into a “smart home” not only makes life more manageable, it makes it more secure. For instance, let’s say that you head out of town for a weekend trip and you realize a few hours out of town that you forgot to arm the security system and program the porch lights to illuminate at dusk. 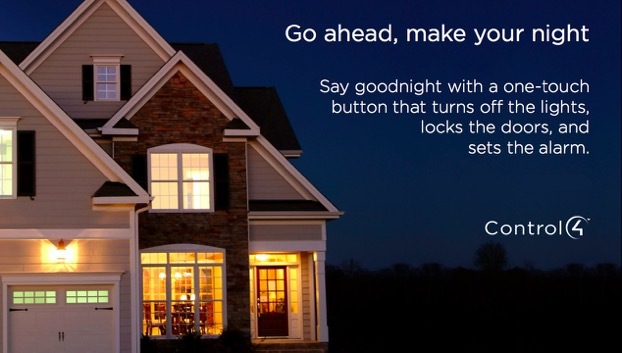 All you have to do is pull out your iPhone, bring up the Control4 interface, and push a few buttons to secure your alarm & program your lights. 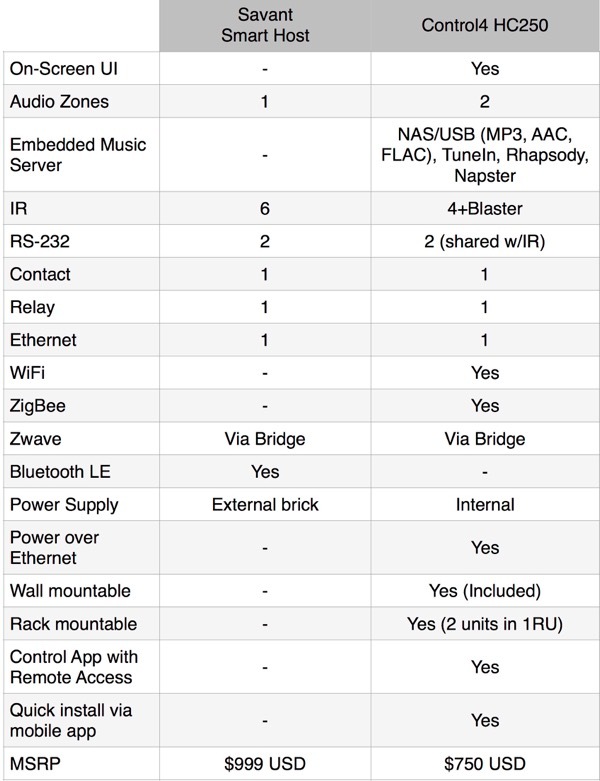 Is Home Automation Scalable? As you revolutionize and grow your home technologies, you may be wondering if home automation is scalable. This is actually the beauty of a system like Control4. You can begin with one or two technologies and then scale out to meet additional needs. For example, if you have an amazing home theatre setup and a security system, you can begin there and then add to your setup as time progresses. The sky is the limit! Your home can now be easily managed, and finally you don’t have to constantly provide lengthy instructions on how all of your devices work! Visit our fully featured hi-tech showroom in Vancouver at 1385 West 6th Avenue. Indianapolis, IN – CEDIA Expo 2011 – September 8-10, 2011 – Booth #2302 – Control4, a leader in IP-based home control systems, today announced the new Control4® Panelized Lighting Solution. Panelized lighting systems enable complete control over whole-home and commercial lighting systems using sophisticated keypad and touch screen interfaces, rather than a collection of light switches on every wall. The Control4 Panelized Lighting Solution is Ethernet-based, providing simple and robust communications from the home controller or Control4 Touch Screen to the light. The Control4 Panelized Lighting Solution is also one of the first centralized lighting systems to offer energy monitoring capability for each load, which allows energy management applications to monitor and control individual lights. This empowers high-end customers to enjoy the privileges of whole-home lighting control while still being energy conscious. Unveiled at CEDIA EXPO 2011, the new app provides whole home control from today’s popular Android devices. 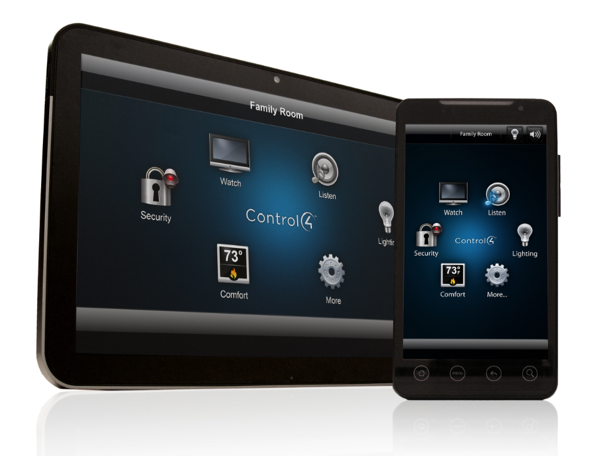 Indianapolis, IN – CEDIA Expo 2011 – September 8, 2011, 8:00 AM ET – Booth #2302 – Control4, a leader in affordable IP-based home control systems, announces their new Control4® MyHome - Android™ app for Android-enabled mobile devices. 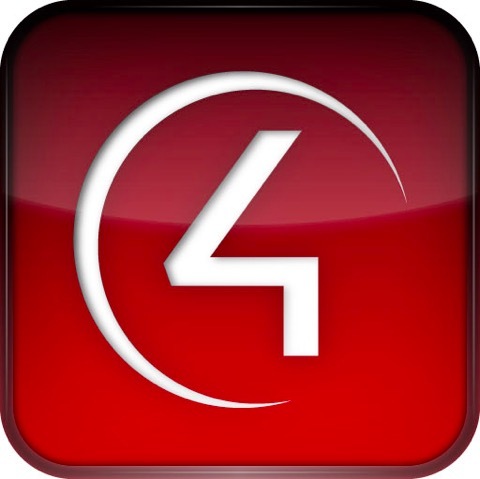 Developed by Clever Controls for Control4® systems, the app is currently in beta testing with select Control4 dealers and release is currently slated for Q4. 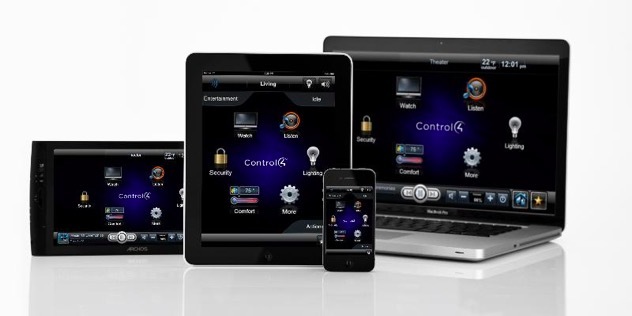 The Control4® MyHome family of software apps allows homeowners to access and control lighting, temperature, security, music, movies, and so much more from a wide range of devices in a Control4 enabled home. The new MyHome - Android app is a robust solution that will allow homeowners to access, manage and control their Control4 system from their Android-based devices built on Android OS 1.6 or higher. Check out this CardAccess video for some cool motion sensor ideas to go from centralized control to true home automation. Control4 is pleased to announce that OS 2.1 is available for immediate download. This release improves the quality of the operating system. OS 2.1 includes enhancements to most areas of the system and user interface, brings back important features and capabilities, and provides significant new diagnostic and support features to make it easier to support clients without doing a truck roll. 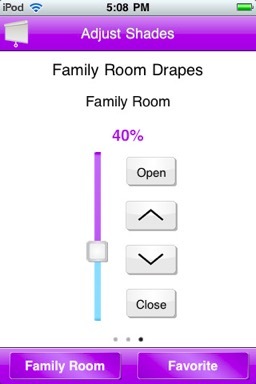 Now available in the App Store, version 3.0 brings a wealth of added features to the popular total home control app, including full functionality on iPhone®, iPod touch®, and iPad® devices. Conveniently control your RadioRA 2 system over a Wi-Fi network with your Android device. Features include viewing/adjusting light and shade levels throughout the home, controlling system keypads including button feedback and raise/lower controls, and managing multiple RadioRA 2 systems in the same app. Add temperature control to the RadioRA 2 system for increased convenience and energy savings. Control temperature from keypads, mobile devices (iPhone, iPad, Android and more), occupancy sensors, and an energy-saving schedule. The three-part design puts each component where it makes sense. seeTemp can be mounted in locations which would not normally be appropriate for a thermostat, such as exterior walls and sunny spaces. 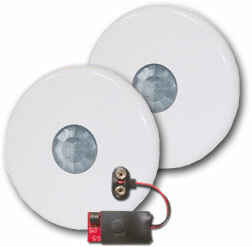 The wireless temperature sensor is easy to position and allows the temperature to be measured in the optimum location. New Apps for iPad, iPhone and iPod Touch Now Available! It's a new look, a new feel, and a new level of control! New releases of the MyHome app for iPad, iPhone and iPod Touch include myriad performance improvements that make it even easier to access and control lighting, temperature, music, movies, energy, security and more-all using the glorious new OS 2.0 interface. 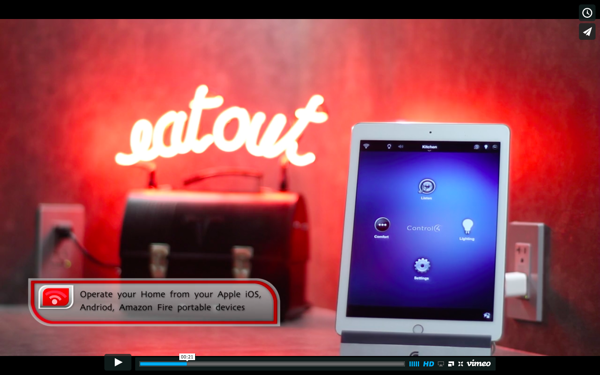 Control4® MyHome App for MAC,PC, Linux & Tablet Now Available! The Control4® MyHome - PC/MAC/Tablet application announced at CES is now available for download so you can allow virtually any laptop, desktop or tablet device that is capable of running Flash* to be used as an interface for managing a Control4 system. 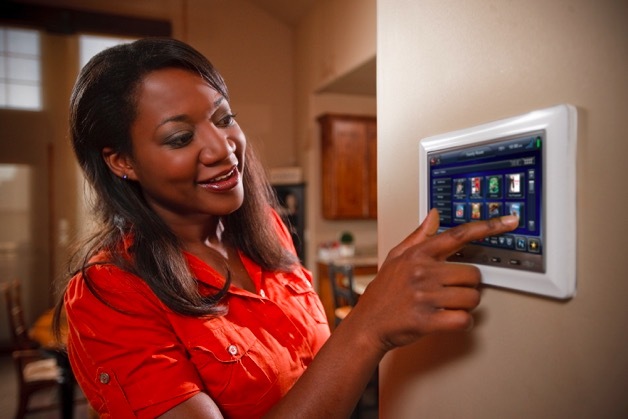 By turning existing smart phones, tablets and PCs into additional interfaces, Control4 MyHome offers homeowners an affordable way to access and manage their system, while offering dealers an additional platform to deliver greater flexibility and portability for home control to your customers. 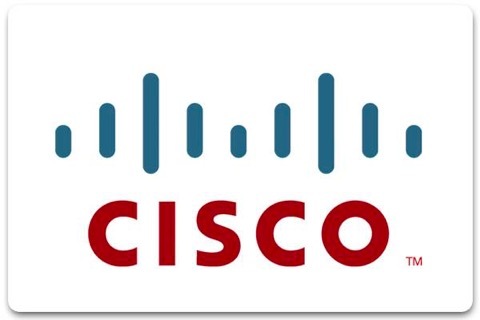 Control4, a leader in affordable IP-based home control systems, today announced that it has signed a strategic agreement with Cisco to deliver network-enabled automation platforms for connected smart communities and home energy deployments around the world. 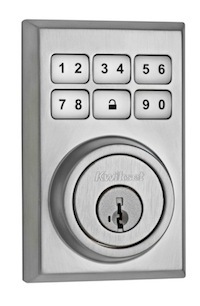 Control4 Announces Kwikset SmartCode, ZigBee Deadbolt Locks in a New Contemporary Style. Watch Akash Sablok on TELUS TV’s MyVancouver Show, with host Simi Sara, talking about the latest tech for your home. In this segment Akash demonstrates how Control4 can operate your electronic devices using your iPad or iPhone. Software apps extend Control4 functionality to virtually every screen in the home. Las Vegas, NV – CES 2011 – January 6-9, 2011 – LVCC South 21407 – Control4, a leader in affordable IP-based home control systems, today introduces Control4® MyHome, a family of software apps that allows consumers to access and control lighting, temperature, music, movies, energy, security and more from a wide range of devices in Control4® enabled homes. 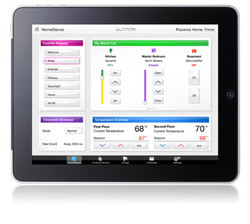 Consumers need only purchase a Control4 MyHome license and download the application to their iPhone®, iPad®, PC or Mac® laptop, desktop computer, or tablet to enjoy all the features of their Control4 system. Announcing affordable total system control in a sleek 5" in-wall design! 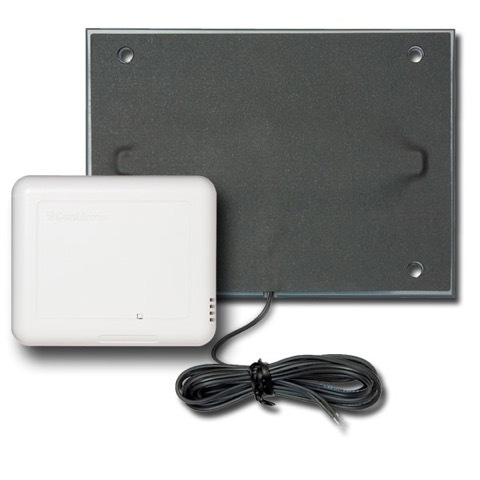 Card Access is pleased to announce the new Wireless Smart Pressure Sensor Package. A replacement for Bed and Chair Sensors previously offered by Card Access, the Smart Pressure Sensor is an easy-to-use occupancy sensing solution for chairs, beds, and sofas. This next generation sensor provides better results through customizable sensitivity making it more suitable for a variety of home automation applications. The sensor works by measuring the change in distributed pressure when a chair, a bed, or a sofa is occupied. Proprietary “learning” technology allows dealers to calibrate the response of the sensor to suit a wide range of furniture and occupants – with just the push of a button. Have you ever said to yourself, “If only there was a simple button that could….” Well, now you can have that button. We have a limited supply of Card Access "Anywhere Buttons." It is a button that you can put virtually anywhere in your house to make anything happen through Control4 programming. Wish there was a button to call the kids to dinner? Wish there was a goodnight button you could hide behind the headboard of your bed? Wish there was a romance button hidden away in your sock drawer? Make that age old “if only there was a button…” dream come true today. Talk to us to order one and for more "Anywhere Button" ideas. 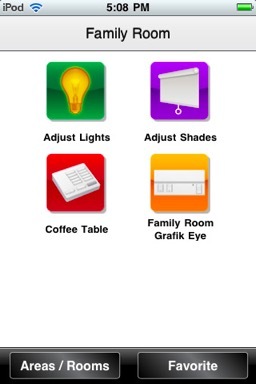 Light control manufacturer Lutron Electronics is pleased to introduce the Lutron Home Application, which provides control of lights and shades, including the new RadioRA 2 total light control system, via an Apple iPhone and iPod Touch. 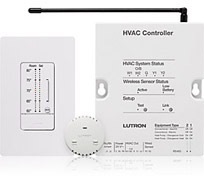 The Lutron Home Application provides control of a RadioRA 2 system over a Wi-Fi network and requires RadioRA 2 Software version 3.1.14 or higher. RadioRA 2 Software is available only to qualified installers. The application is available now, free of charge, on iTunes®. Also new to RadioRA 2 is an Away Mode feature that lets users simulate occupancy while away from home by automatically turning lights on and off and controlling shades. 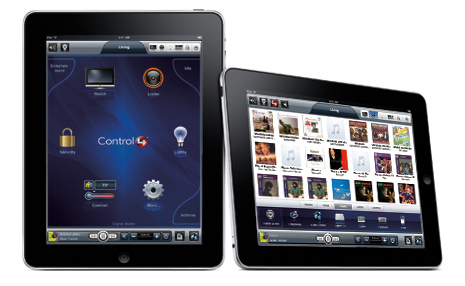 Control4, a leader in affordable IP-based home control systems, announced today the Control4® My Home application for iPad, which was developed in collaboration with Control UI. In a Control4®-enabled smart home, users will be able to access lighting, temperature, music, video, security systems, web cameras and more from an Apple iPad. Available now on the iTunes App Store, the Control4 My Home app has been selected as an Apple staff favourite for iPad apps. Control4 provides home automation through an extensible operating system that integrates energy using devices and systems in the home, including, audio and video equipment, lighting systems, motorized shades, and security systems. 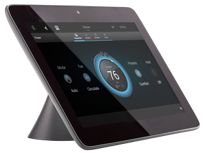 With the new, specially designed Control4 My Home app for iPad, homeowners can use their iPad as an interface to their Control4® system to create personalized experiences such as custom lighting scenes; to conveniently control entertainment systems; or to take advantage of energy savings with programmable thermostats and other ‘green’ settings. Later in the year, homeowners will be able to use Control4 My Home in conjunction with a Control4® 4Sight remote monitoring subscription to turn lights on and off, lock or unlock doors, or access IP video cameras and security systems from the Internet, providing increased home security and peace of mind. Control4 homeowners can immediately download Control4 My Home for iPad here and authenticate to their Control4 system with a Mobile Navigator license which you can obtain from us at Digital Smart Homes.